Not many years ago, the world of ecommerce marketplaces used to be loaded with massive discounts to bring as many customers on board as possible. Many marketplaces emerged, and with time, increased their user base by doling out fat discounts. As the world of eCommerce evolved, so did the business strategies. From customer acquisition, now, most of the internet marketplaces are focusing more on increasing sales instead of just gathering more consumers. The best way to do this is to recommend additional products and inspire the customers to see what you are offering them. This way you will not only increase your average order value but also increase sales. Through dynamic product recommendation, you can start moving up on the sales ladder. To give the uninitiated an idea of what Dynamic Product Recommendation looks like, let’s take an example of a new customer. When a new customer makes an account with a particular marketplace, they see “most popular items” as recommendations. This is because there are no cookies and no algorithm to identify what the user may like. As the new customer starts buying things, they start seeing recommendations as “things you may like”. But that comes later. 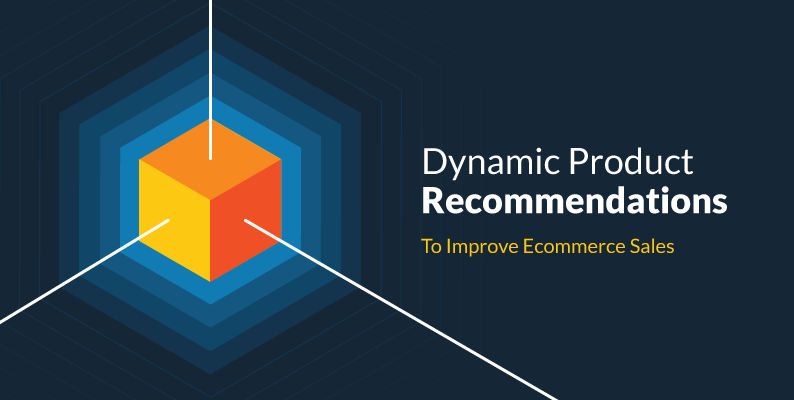 Let’s see how dynamic product recommendation can help you increase your sales. Upselling gives you an opportunity to sell a higher value version of something as compared to what the customer is planning to buy. What marketplace owners need to focus here is to recommend products that are within a reasonable reach while upselling. If done right, upselling is a great way to increase sales. What’s happening here: Suppose a customer wants to buy a laptop under $300. So, while listing the results, you can recommend a laptop worth $339. If you go above $350, the recommendation may go unnoticed, and in case it goes beyond reasonable limits (say, a laptop worth $500), the customer may feel forced. Offering a better option to your potential customer not only gives you the opportunity to pitch a higher priced item and increase revenue but also build trust. The basic idea here is to increase the cart value instead of increasing the product value. Here, dynamic product recommendation can help you suggest items that are closely related to the item a customer has added to cart. What’s happening here: Suppose a customer wants to buy a DSLR camera. Based on various parameters (like cost, make and model), you can fine tune your recommendation section so that the potential customer gets to choose different things that he may need with the item selection. Let’s see what all a person needs with a DSLR: A bigger lens, a bag, a memory card, lens cleaner, and maybe, just maybe, a tripod. This is where the role of artificial intelligence and big data comes into play. Given the massive range of products that go with a particular item, choosing the one that this particular customer needs can become time-consuming, and it can delay the sales time. The faster a customer moves through the checkout funnel, the better it is for the business. So, marketplace owners should use customer data and see what combinations were bought the most, “club” those items together with the camera and present it as a bundle package at a better rate. What’s happening here: Using the above example of DSLR purchase, you can bundle a couple of items together (camera bag, memory card and cleaning brush/card reader/tripod and so forth) to help customers purchase related items quickly and move to check out as early as possible. It’s natural for the customer to scroll down one last time to see other options before finally going to the cart or the checkout page. This is also the time when you can try upselling once again. Yes, the consumer may have made up his mind, but if you don’t try, you will miss the opportunity altogether. The power of comparison works both ways. If they buy the higher version, you got a better sale; if they don’t, they’ve already decided their purchase and would like to go ahead with it. There’s nothing to lose here, neither for you or the customer. One final pitch before the deal is done if done right, ups your revenue. 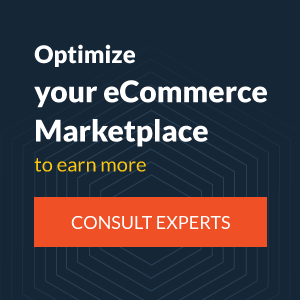 Want your ecommerce marketplace to make more money? In the coming years, artificial intelligence and Big Data will be two market drivers that are going to control how recommendations work. After a customer has logged in, big data will come into play along with A.I. to record, interpret and identify a customer’s buying pattern. Depending on the customer’s behavior, the recommendations will alter. With a total of 12 trigger events, YoKart lets you give different weightage to each event. Depending on the weightage, the customer will get different recommendations. Positive weightages are given to sales positive events such as product viewed, time spent on the product, add to cart, items that are marked favorite, etc. The increase in these events puts a product higher on the recommendation scale. And then there are negative events such as removing an item from the cart, un-marking a favorite item, removing from wish list, order cancellation. The higher these weightages are, the lower the product will be on the recommendation scale. Product browsing history helps the admin to customize the weightage and plan recommendations on the basis of following parameters: Brand, Category, Tags and Price Range, Number of Visits, Time Spent, Visitor, and Order Placed. Looking for a DSLR camera and finding a microscope in the product recommendation, now that doesn’t sound like a good recommendation, does it? YoKart’s recommendation section makes sure you can minimize the anomalies shown in the image above (microscope recommended with a DSLR) and streamline your recommendations easily, without worrying about it. Dynamic product recommendation has become one of the most useful features of a marketplace admin panel. It gives you the power to speed up your customer through the sales funnel and increase your sales. As long as artificial intelligence and big data are concerned, technology aficionados and data scientists are working on it and eventually, the ecommerce industry will see a drastic change. But that’s not going to happen overnight. Till then, smart algorithms are doing a pretty good job!